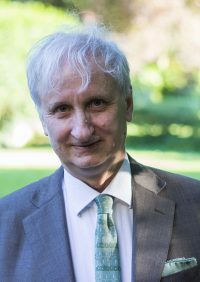 Denis Waelbroeck is a graduate in law (1979 – First Class Honours) and special graduate in European law (1981 – the highest distinction) of the ULB. He is Professor at the Faculty of Law at the Université Libre de Bruxelles and at the Institute for European Studies of the Université Libre de Bruxelles as well as at the College of Europe in Bruges. His research activities mainly focus on competition law and the jurisdictional protection system within the European Union. Professor at the ULB, he teaches subjects such as ‘Protection juridictionnelle dans l’Union européenne’ and ‘European Competition Law’. He also gives a course in competition law at the College of Europe in Bruges. On numerous occasions he has been invited to give classes in Belgian and other foreign universities. He has also been invited to give hundreds of conferences a little bit all over the world. Denis Waelbroeck has been a lawyer at the Bar of Brussels, specialising exclusively in European law, since 1979. He is an associate in the Ashurst LLP law firm. As a lawyer, he has pleased a very large number of cases before the Court of Justice of the European Union and before national courts.